Removalists Blackburn North is a demand among all those who are wishing to move to the Blackburn suburb of Melbourne city. In order to make your move easy with taking you off from all the tension of the move, Singh Movers And Packers should be your only choice. Finding the quality Furniture Removalists Blackburn North is a tough task. Moving a house or getting relocated your business might be a time consuming and costly process. So, when you are having a potential opportunity of saving your time as well as some money and definitely being away from the stress, then you should obviously hire the company who can do such work. The removal task needs the packaging, loading, shifting and unloading of the materials. Until and unless the company you are hiring is experienced with ample knowledge, you can not get the best move with proper safety. So, the hiring of the best and qualified Furniture Removalists Blackburn North is very essential for the Furniture Removals. Our duty is taking your possessions from your old place to the new preferred location either within the Melbourne or interstate, SINGH MOVERS will offer you with any move whether it is a Furniture Movers, Office Movers, House Movers, Interstate Movers etc. If you are looking for the efficient, adorable, and the reliable Furniture Removalists for Blackburn north, then Singh Movers can help you in every possible way. The above-listed services are the services offered by SINGH MOVERS all over Australia. SINGH MOVERS being the one-stop solution for the residents of city Melbourne, its suburbs and the other Australian cities have a team of professional experts who have years of experience in the field of Movers And Packers will also offer you with the satisfying work. Singh Movers And Packers have been serving you all from almost more than 10 years and have the feast of experience in the field of Furniture Removals. We ensure you that we will make your move stressful and monotonous to the joyful one. We ensure you a happy move with your family members as we will be responsible for all of the work by ourselves. It does not matter that your move is within the city or an interstate move, Singh Movers Melbourne will assist you with everything that you have doubts with. We will make sure that your tiring move is converted to the enjoying and memorable one because you will not have to do any sort of work and you will only be asked to relax. So, do not panic and in order to save yourself from the hustle and bustle of the FURNITURE MOVE, call SINGH MOVERS and we will show you why we so well-known in Melbourne and its suburbs are. · ZERO HIDDEN CHARGES: SINGH MOVERS have shown all their charges before hand to their customer in their company’s quote. We do not ask you for any other charge for the sake of money. We just believe in providing quality work as we work for the success of this company and for the happiness of our clients. You do not worry at any point of your move as the experienced team of SINGH MOVERS will offer you with the best and affordable quality service that you won’t then have to worry for any sort of work. We have our team who have ample knowledge regarding the FURNITURE MOVE. Hire us by giving us a call, by booking an assignation online or by emailing us. · AFFORDABLE PRICE: SINGH MOVERS is believed for their quality service at the normal price quotes. We offer our customers with all the facilities at the minimum price possible. Charging low doesn’t mean our work quality is not good. It is just our company’s motto to endow their customers with all the services at low-cost so that the prices won’t lay heavy on any type of customer’s pocket. · SECURE TO MOVE YOUR BELONGINGS: Singh Movers can be fully trusted for the safety of the stuff as they plan, pack, and unpack the stuff using professional tools and by undertaking proper safety measures. Have faith in us and call us to hire for the services. 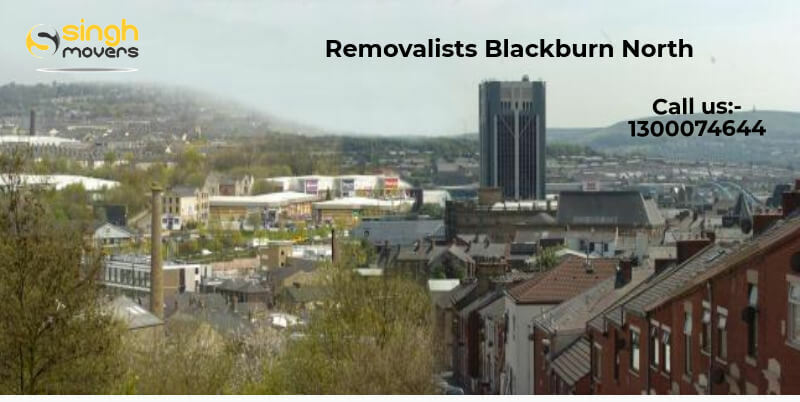 We, being the leading FURNITURE REMOVALISTS BLACKBURN NORTH will offer you with the best possible services at the best possible rates. Blackburn North is a suburb of Melbourne, Victoria, Australia which is around 17 km east of the Melbourne’s central business district. The local governmental area is the City of Whitehorse. According to the census of 2016, Blackburn north suburb of Melbourne had recorded a population of around 7,463 people. Blackburn North is mainly a residential suburb with green and leafy streets and houses in the acre blocks. The density population of this suburb is 2,860 square pr kilometre. The postcode of the area is 3170. Box Hill is the state electorate and federal division being the Chisholm. There is no railway station that serves Blackburn north which is through a disadvantage. There are two primary public schools as well. No major shopping centres exist in the Blackburn suburb of Melbourne. Stop worrying about the work of your Furniture Removals as Singh Movers is there to assist you in every possible way. We will not disappoint you instead you will be pleased with our quality services and yes, we ensure that. Give us a buzz and enjoy the quality FURNITURE REMOVAL.